In Harry Potter and the Prisoner of Azkaban, during his third year at Hogwarts, Harry learns that a dangerous killer is on the loose and is coming for him. After leaving Privet Drive for making his aunt inflate like a balloon and fly away, Harry (Daniel Radcliffe) is picked up by the Knight Bus and taken to the Leaky Cauldron. After reuniting with his friends Ron (Rupert Grint) and Hermione (Emma Watson), Harry learns that Sirius Black (Gary Oldman), a convicted murderer and supposed Voldemort supporter, has escaped from Azkaban prison and is looking for him. While on the train to Hogwarts, the train stops and fearsome creatures known as dementors attack the train looking for Black, but greatly affect Harry as well. Harry is protected by the new Defense of the Dark Arts teacher, Remus Lupin (David Thewlis). Harry’s safety is a top priority as everyone is fearful that Sirius Black is on the loose but Harry eventually learns the truth. Now free from the shackles of previous director, Chris Columbus, the Harry Potter franchise really comes to life with Harry Potter and the Prisoner of Azkaban. Mexican director Alfonso Cuarón gives Harry Potter and the Prisoner of Azkaban a completely new sense of style when compared to the first two films and also sets a fairly dark tone that would carry throughout the rest of the films. Another change is the actor playing Dumbledore becomes Michael Gambon, who gives the role a bit of mystery and I think is a much better fit. Visually pleasing and easily one of the most interesting plots of the series, Harry Potter and the Prisoner of Azkaban is my favorite of the series. While I wouldn’t say there are any short Harry Potter movies, Cuarón was able to keep the runtime under 2 1/2 hours but still cram all the plot points in the film. I don’t think there is much, if anything, that is superfluous in the film. One thing that bugged me at the time of the release of Harry Potter and the Prisoner of Azkaban was that the students don’t really wear robes in this film, they wear trendy clothes most of the time. A small detail but for some reason it still sticks out to me. Some may not like the departure from PG films to PG-13 with Harry Potter and the Prisoner of Azkaban, but I think the decision makes sense and doesn’t feel out of place in the franchise. Giving several different directors control over a film in a franchise is risky, both for the director and the financiers. If the director changes too much, the franchise could suffer but the director could be hobbled creatively. If too little is changed, the director will certainly be hobbled and the movie may suffer as a result. I applaud the decision to bring different directors on, and Cuarón seemed like such a crazy choice for an English film, but he really works his magic (I can’t believe that’s the first magic pun I’ve made in these Harry Potter reviews). Harry Potter and the Prisoner of Azkaban is the watermark for the Harry Potter series for me. 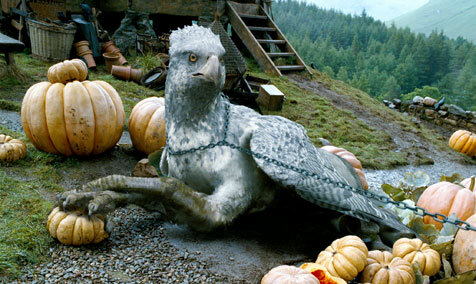 While other films come close, Harry Potter and the Prisoner of Azkaban is the perfect blend of story and style. I could even see myself recommending this film for newcomers to the Harry Potter franchise. I give it 5 Buckbeaks out of 5. The Dark Knight continues Christopher Nolan’s Batman trilogy as Batman faces his nemesis, the Joker. The Dark Knight begins with an elaborate bank heist orchestrated by the Joker (Heath Ledger). Gotham has a new DA in Harvey Dent (Aaron Eckhart) who vows to clean up organized crime along with his assistant DA, Rachel Dawes (this time played by Maggie Gyllenhaal). Gordon (Gary Oldman) and Batman (Christian Bale) decide to trust Dent. The Joker disrupts an organized crime meeting between several factions and essentially controls the city’s underworld. After Dawes and Dent are placed at separate locations with lots of explosives and a timer, Batman saves Dent but he is disfigured. 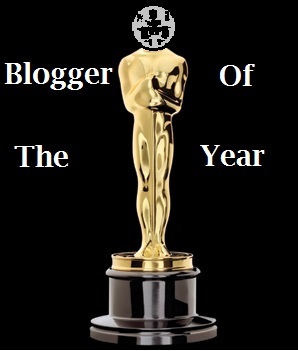 Joker turns Dent against himself he vows revenge for losing Rachel. Batman must now figure out a way to stop Joker and also deal with the newly formed Two-Face while still remaining the hero that Gotham deserves. It turns out that writing an abbreviated plot outline for The Dark Knight is much harder than I anticipated. A lot of things happen in the film that the 150+ minute run time can attest to. 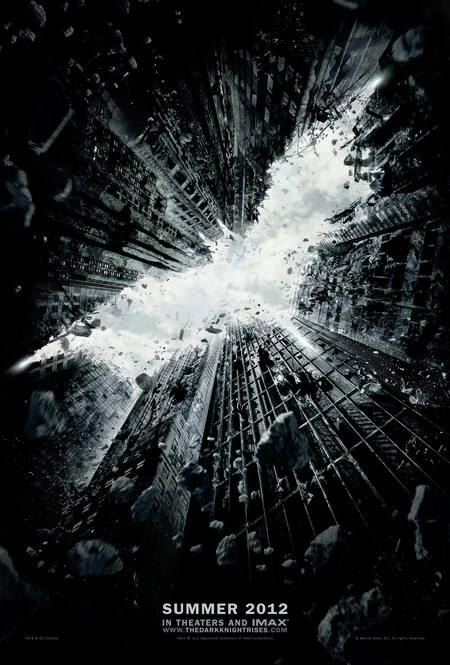 The second part of Christopher Nolan’s Batman trilogy, many consider The Dark Knight to be the pinnacle of the series. I attribute this largely to his brother, Jonathan, who helped write the script for the film. Everything in this film is there for a reason and a pretty damn smart reason, too. Further diving into the “realistic” world of Batman, The Dark Knight created one of the greatest villains ever on screen in the Joker. The fact that Joker is only a portion of the plot here is remarkable. When The Dark Knight was released, it contained several scenes that were shot for IMAX screens and this was the first IMAX film I saw that truly blew me away. While it’s always a thrill to see a bigger, louder version of a film in theaters, when something is built specifically for IMAX it shows. Even a lesser film would have been breathtaking if shot like this, but from the very opening shot for the entire film it grabs you and doesn’t let up. 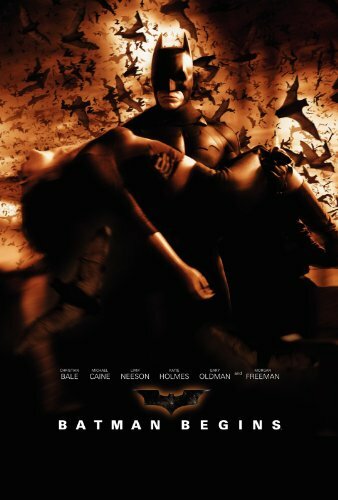 As I said about Batman Begins, The Dark Knight is not only an amazing superhero movie, it is simply a great movie. If Batman Begins put Christopher Nolan on the map for many people, then The Dark Knight solidified his position as a great filmmaker. 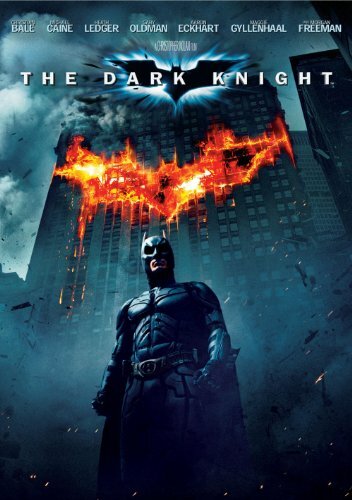 The Dark Knight is difficult to fault and is something that I could easily recommend to everyone. I give it 5 “you complete me”s out of 5.